Part 2 of the DVD review… Here are some of the missing flashback scenes from Season 3 along with a brief analysis. Locke: He returns to his commune to find that Eddie has arrested the “family” Locke had thought he inherited. Just minutes before this scene, Locke had allowed Eddie to escape his trap. After finding out that Eddie was an undercover cop sent to infiltrate the commune , he planned to kill Eddie but could not literally pull the trigger. Eddie told him he was not a killer. It is interesting that Colleen told Sun she was not a killer, right before Sun shot and killed her. Jin: He showed up at Jae Lee’s funeral. So did Sun, who was saying goodbye to a man she had an inappropriate relationship with. The scene is very short and it just informs us that Jin did pay his respects to the family. Nikki and Paulo: Nikki is shown right as the hatch implodes when Desmond turned the fail safe key at the end of season 2. Nikki is frightened when the sky turned purple and a loud “whirring” sound is heard. She runs to Claire and then Paulo for an explanation. The fear from this event makes her realize that she has been selfish all along (more interested in diamonds than people). She promises to make amends by being more friendly to both Paulo and the rest of the castaways. She later reneges on this promise in the “Expose” episode when she finds out that Paulo had found the diamonds she was looking for but was hiding it from her in order for it to not be a wedge between them. She is later buried alive with Paulo after both are paralyzed by spiders and presumed dead. Mrs Hawking: Referred to by LindeCuse (not sure which one) that she is a temporal policeman – meaning she was sent to make sure whoever needed to be on Lost island made it there. In this case, she was telling Desmond that it was his destiny to get to Lost island and turn the fail safe key to save “us” (the world, I guess). She told this to Desmond years before the actual event happened. Gary Troupe: In a commentary on Expose, it is pointed out that Gary Troupe is the person who is sucked into the wrecked airplane engine in the very first episode of Lost. This is a very obscure reference to an imaginary author who was writing on book on the Valenzetti equation when he died aboard flight 815. The Valenzetti equation is where we get the famous numbers that Hurley is known for and that keep showing up in unexpected places. Jacob: In a commentary on “The Man Behind the Curtain” LindeCuse says that although some people thought they saw Locke (in makeup) sitting in Jacob’s chair, it was an actually a glimpse of another actor they have hired to play Jacob. And that we will see more of him in Season 4. Carrie: That the main character in Stephen King’s book “Carrie” and Juliet have something in common; they both appear to be vulnerable but they can also commit some serious atrocities. For Carrie it was wiping out her classmates at the prom after they taunted her. For Juliet it was killing Picket without a warning to save Jack’s friends. The 3rd Policeman: That the book is about redemption (like Lost) but is also told from the point of view of someone who is dead (purgatory?, let’s not go there!). Sawyer’s books: Started with the easy fun ones ended up with the leftovers or difficult books like the Fountainhead. It is about a character named Roark who is similar to Sawyer. Roark believes in a philosophy of Objectivism which is “that the proper moral purpose of one’s life is the pursuit of one’s own happiness or “rational self-interest” (from wikipedia). Sure sounds like Sawyer, at least until he got to the island. Wizard of Oz: References include “Henry Gale”, the baloon, The Man Behind the Curtain, and the person in the red sneakers (ruby slippers) who was crushed when building materials fell on him. Who is the wizard? Is it Ben or Jacob or someOne even greater? Lord of the Flies: Not at all like Lost or is it? Who are the bad guys… the Others or is it really our Losties. At least Ben tried to warn them about Naomi’s group (who we think are now coming to kill them – see the season 4 trailer). The Stand by Stephen King: A group of people survive a catastrophe and band together for one last stand against evil. 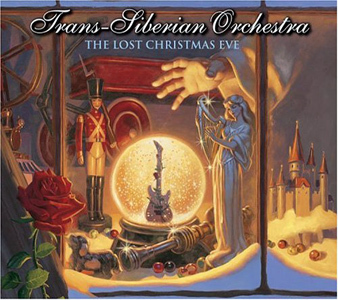 In this symphonic tale, the little angel from this album’s two Christmas predecessors is once again sent on a mission from God: to find a person who is most like the image of Jesus. However, unlike the other trips, the angels can only use his wings for when he arrives on Earth and when he leaves. Looking for a likely place to search, the angel lands in New York City. As soon as he touches the ground, he notices a street performer weaving a story about the ball of the Wizards in Winter to a group of children. He then enters a hotel, and as he enters the ballroom, he watches the ghosts in there dance around. Then he leaves and walks into a blues club, where a jazz band is playing music, eventually the whole bar gets together and starts singing along with the jazz band, except for one man who leaves without a word. The angel noticed that the man left a trail of blood. The blood came from a wound in the man’s heart and only angels are able to see this. As he followed the man, who had been the last one home from work, the angel saw that this man did not like Christmas one bit. Due to his curiosity, the angel peered into the man’s heart to find the reason behind the man’s yuletide hatred. As the angel delved into the man’s past, he saw that he had not always hated Christmas and in fact loved it like any other child. His family was a good Christian one and he had been taught that all of man are created in God’s image. He eventually got married and his wife became pregnant. On the night of the birth, things were going as planned and normal. However, the man then noticed that there were many doctors rushing for his wife’s room, but there were none leaving. The doctor told him that after the birth, she had hemorrhaged and that, unfortunately, they were unable to save her. When they gave him his son, the baby looked strange. The doctor explained that because attention was focused on the mother, the baby had been neglected air and had suffered severe brain damage; he would be unable to function as a normal person in adulthood and would be lucky if he learned to talk. Enraged by this outcome, the man shouted at God, saying that he saw nothing of God in his son. The man gave the baby back to the nurse and asked if the child could be placed into a facility. After seeing this, the angel let go of the man, who did not notice the angel peering into him. He later encountered a young child in front of a toy store, who claimed to be staying with her parents on a third floor room of the hotel across the street, that asked him if he had a son. The man responded with a short and gruff “No,” which reminded him of his son. After he told the girl to go back to her room, the man called a cab and set off to find his son. Eventually, he arrived at a hospital, similar to the one where his son was born, and asked about his son. A nurse took him to a room where the son, now a grown man, was rocking cocaine babies to sleep. When the man asked if his son could talk, the nurse, realizing that it had been a while since they had met, said “No, but he’s a good listener.” After so many years, father and son were reunited. The man asked his son to move out of the complex he lived in to stay with his father, to which he agreed. They then took a cab to the hotel across the street from the toy store to find the girl and asked for the girl’s room. However, strangely enough, there was no third floor to the hotel, nor did they have a room with the same number the girl had told him. Confused, the man returned to the cab with his son. The man then took out his briefcase and dumped its contents out on the sidewalk. The son gave a puzzled look, to which the man explained that he was going to quit his job to get a job at the hospital where his son worked. The son gleefully smiled. When the angel returned to Heaven, God asked the angel who was most like Jesus. The angel at first gave the name of the man’s son, but then changed this to the name of the story teller, the jazz player, the man, and all of the other people he had seen. It was at this point that the angel realized that at Christmastime, almost everyone appears to be in Jesus’s image. Click this for the extended season 4 LOST trailer. It is also on ABC.com. According to Variety and other news accounts, LOST will return on Wednesday January 30 with a replay of the excellent Season 3 finale. 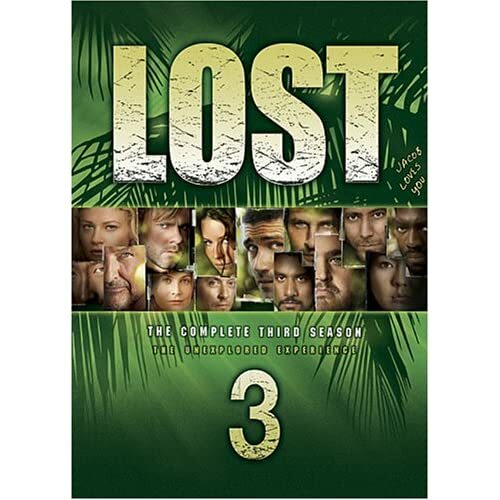 The next night, LOST season 4 will start with the first of eight new episodes. If the writer’s strike ends soon, there is still an outside chance they may make more episodes before the season ends in May.